Sleep easy with an apartment for rent at Alvista Terrace. 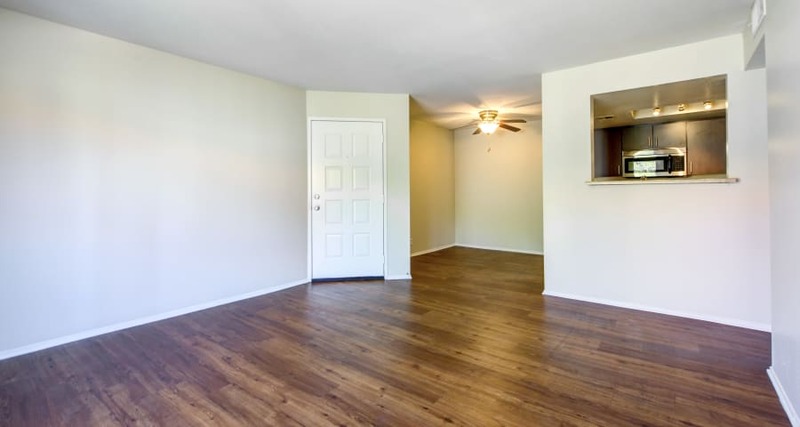 Alvista Terrace offers new renovated one and two-bedroom apartments that includes fully equipped kitchen with stainless steel appliances, fireplace, and large walk-in closet. Please select a unit that you like, fill out your name, number, and email, and you will be redirected to our quick and convenient online application. Not seeing what you're looking for? Availability changes every day, if you tell us what your needs are we’ll call you when availability changes. All room dimensions are approximate and may vary by apartment. Uniquely offering a full-size laundry room and open-concept floor plan, dual closets in the bedroom, outside storage, and updated interiors, our one bedroom floor plans meet the demands of a busy lifestyle – it’s all about comfort and convenience. Our two-bedroom homes feature windows in the kitchen area – beaming with natural light, a breakfast bar, additional outside storage, and ample cabinet space. The master bedroom offers a walk-in closet and private vanity. The upgraded units at Alvista Terrace feature wood-plank style flooring, updated cabinetry and counters, brushed nickel hardware and updated lighting. When it comes to selecting the perfect home, one size doesn't fit all, so we offer a wide variety of floor plans. Our 1 and 2 bedroom apartments will delight you with their efficiency and affordability. At Alvista Terrace in Colton, CA, we provide a home you'll love to call your own. The perfect floor plan for your needs and budget is only the beginning. We believe that convenience shouldn't be sacrificed, so we've packed all our homes with the sort of features you would have selected for yourself. Let us show you your new home. Select from the choices below and call us today to schedule a tour.